While working with a design firm in Charlotte, your business should always receive great branding ideas and corporate branding strategies. Properly branding your Charlotte-area small business involves several traditional strategies (such as designing an impactful logo, memorable business cards and branded promotional items), along with some out-of-the-box ideas that are sure to get attention and raise local awareness. When it comes to corporate branding, logo design, graphic design, branding ideas and printing, it’s important to have a well thought out plan in place before you get started. This will help to ensure your brand remains consistent, across all platforms, channels and mediums. 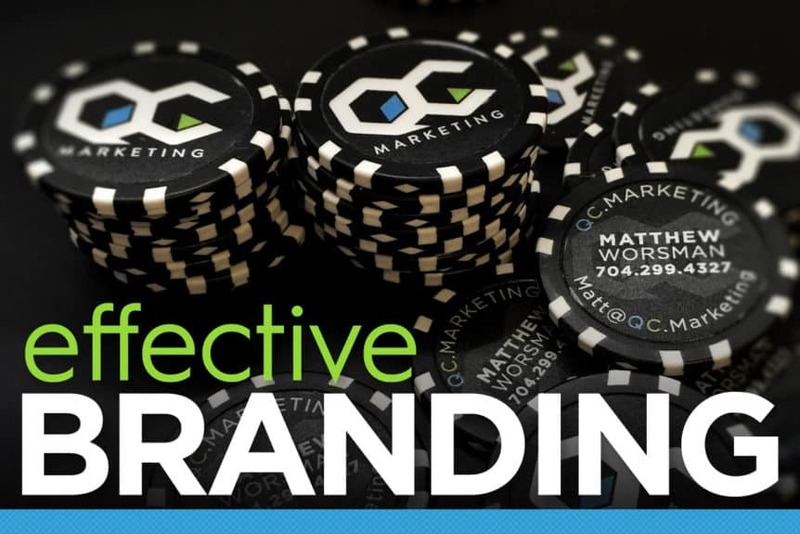 QC Marketing knows a thing or two about designing unique and successful branding strategies, from start-to-finish, and can help your Charlotte-area small business raise local awareness. If you’re looking to take on some branding efforts of your own, let us recommend a few tips to help properly brand your business or non-profit. Your logo is usually the first thing most customers see; and can often represent the “face” of your business. It is vital to design an impactful logo that clearly represents your brand, is instantly recognizable and stands out. When designing a great new logo for your business, first spend time analyzing your company, your target audience, their interests, the corporate identity, brand “personality,” and business objectives. Designing a great logo requires an artistic touch, and the ability to turn ideas and words into graphics. If you’re having trouble getting your ideas on to paper, give us a call and we can collaborate with you to help design an impactful logo that proudly represents your Charlotte small business. A well designed business card should be impactful and memorable. A lot of times, this is your first impression and can go along way in setting you and your business apart from the competition. 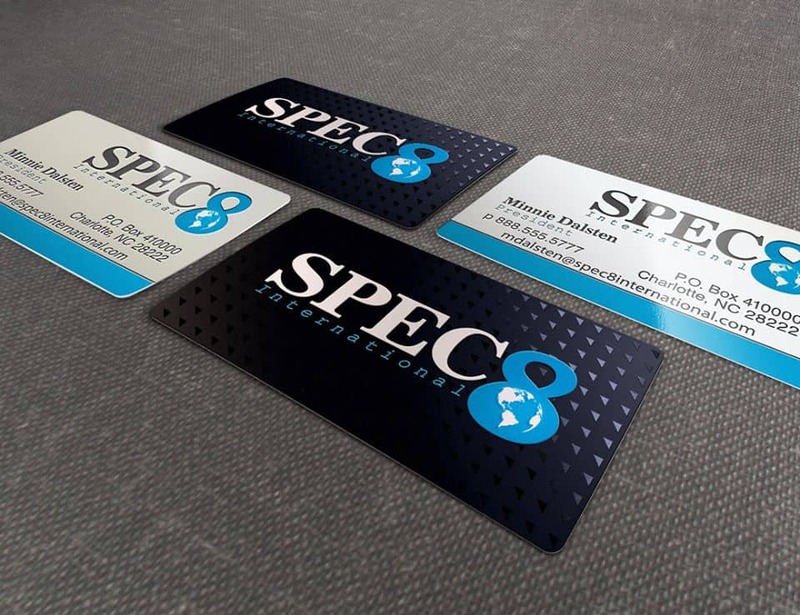 While working with a design firm in Charlotte, designing a great business card should be one of the first projects after you nail down your logo. A great business card, like a logo, should represent your business and brand. This requires a full analysis of both, and designing a layout that matches the brand identity. Depending on the company or industry, a business card can be over-the-top and colorful, or more simple and eloquent; it all depends on the brand. At RockaPrint.com you can design your own business card online with our online designer tool. While this can be a great place to start, it’s difficult to truly capture your brand without the help of an experienced graphic designer. If you want a business card that really stands out, we’d be happy to help you through the process. Something as simple as a t-shirt can be one of the most beneficial branding ideas a Charlotte small business uses. Branded t-shirts, with your logo, business name and messaging can become “walking billboards.” They can be handed out to employees, customers or potential customers, for free; and not only will they build a good, strong relationship, but will help promote the business, throughout Charlotte. Designing your business t-shirts can be fun, and depending on the brand, a less formal type of marketing. Make sure you contact a reliable and experienced design firm in Charlotte to help you with the design and also print your shirts. In addition to having an impactful logo, a strong tagline will help further define your brand. Having an effective tagline is great for product marketing, advertisements, and anywhere else your brand is seen. The brochure is the classic example of sales-oriented marketing. With crisp, relevant images and an impactful logo, a brochure can be distributed to leads and potential clients, and let them experience your marketing on their own time. Branded brochures are great for networking events, conferences and businesses that rely on lead nurturing campaigns. Every business is an expert in their own industry, and has access to a plethora of valuable information, data and statistics. Infographics tap into this knowledge and can be designed to inform, entertain and be shared. By including the corporate brand logo and relevant images, a business can represent itself as a thought-leader and drive organic growth; or even better, go viral! 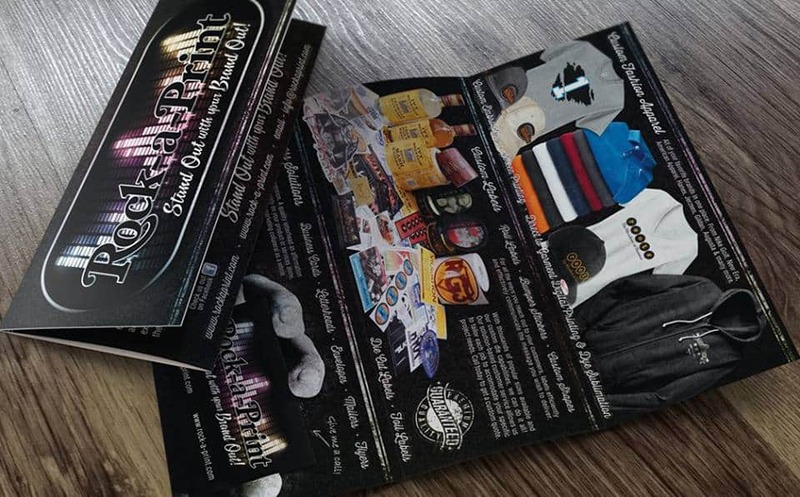 When it comes to traditional marketing, flyers and other handouts are great pieces of collateral. Their ability to be easily distributed and informative makes them an excellent source of corporate branding. Every small business knows about the importance of social media, but it’s equally important to brand all of the business’ social media pages. This includes designing impactful business page banners, crisp, relevant profile icons, and plenty of engaging content. Every social media post is another opportunity to brand the business, and working with a graphic design firm in Charlotte is a great way to consistently design great social content. Does Your Charlotte Small Business Need Help with Design or Branding? Rock-a-Print is one of the most trusted sources for graphic design in Charlotte. 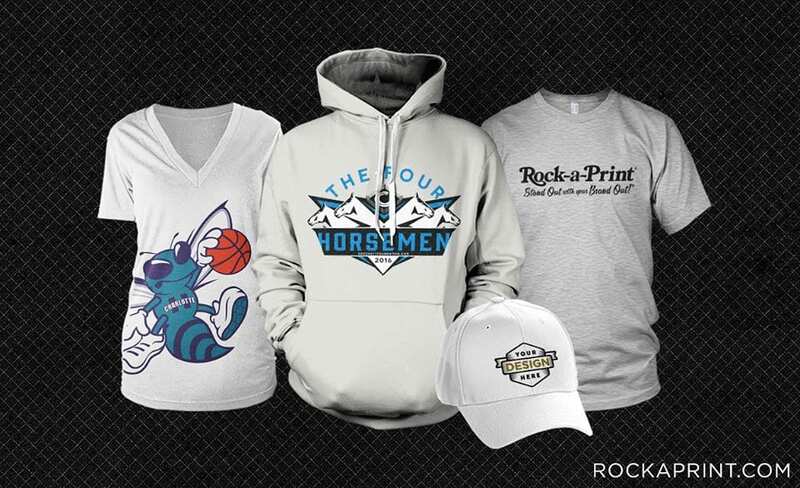 As a graphic design firm in Charlotte and QC Marketing’s sister company, Rock-a-print helps Charlotte-area small businesses with corporate branding, logo design, business cards, custom t-shirts, and offers plenty of other great branding ideas. Get in touch today to schedule your 100% free consultation and let us show you how we can help beautify your brand and raise awareness for your business across the Charlotte metro area and beyond.